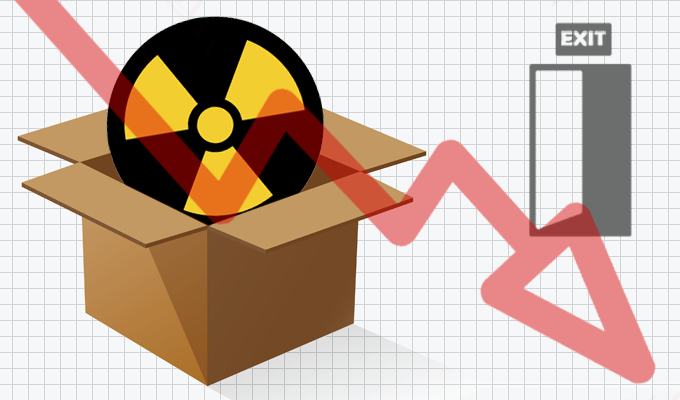 Researchers who study exploit kits are reporting that two major kits, Angler and Nuclear, may no longer be available. A Proofpoint report published Monday, meanwhile, put some numbers behind the exploit kit downturn. For example, they point to criminal groups which run high-traffic, high-profile malvertising campaigns moving to Neutrino in concert with the shift of CryptXXX distribution from Angler to Neutrino. The Check Point paper released in April was a two-part series that took apart the Nuclear EK, analyzing not only its infrastructure, but its operational scheme, control panel, master server, infection flow and internal logic. At the time, Nuclear was moving Locky ransomware at a prolific rate; Locky infections were reportedly responsible for high-profile attacks at several U.S. hospitals. Part two of the report examined Nuclear’s service offerings, taking a dive into the vulnerabilities targeted by its exploits, how payloads are delivered to victims and a characterization of the damage. Kafeine said this might be a temporary situation however based on a post in a Russian forum seen by the researcher that said Nuclear is no longer available for rentals and that the author is gone [from the forum]. “If he comes back, will inform about this officially,” is the rough Russian translation of the forum post. Angler’s customers, meanwhile, may have moved on to other exploit kits such as Neutrino and RIG. Angler users were busy peddling CryptXXX as a successor to Locky, but a report from the SANS Internet Storm Center on June 9 said there was a sudden change in distribution away from Angler. CryptXXX is a relative newcomer but already it has been updated with new encryption and also comes with a credential-stealing module. Oddly enough, in April, researchers at Palo Alto Networks found a campaign they called Afraidgate that was using Nuclear Exploit Kit to distribute Locky. It switched abruptly to Angler and instead began distributing CryptXXX on infected computers. Gate domains were hosted on afraid[. ]org and the Afraidgate campaign—along with pseudo-DarkLeech—helped establish CryptXXX as a major ransomware threat. Both campaigns, Palo Alto said, use Angler to exploit vulnerable browser-related applications and deliver Bedep, a downloader that grabs CryptXXX and click-fraud malware. CryptXXX is particularly nasty because it not only encrypts local files (encrypted files have a .crypt extension), but also those on all attached storage shortly after the initial infection. The malware also has other capabilities beyond encrypting local files. It copies files putting the victim at risk for identity theft and steals Bitcoins stored on the local hard drives. In the meantime, it’s doubtful exploit kits will disappear altogether just because of the sheer profits available. But it may a good time to enjoy a temporary respite.